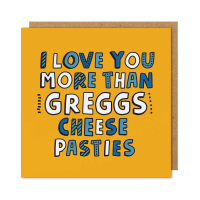 Lines Behind cards, prints and gifts have become popular across the North East and beyond, attracting attention from some of the UK’s biggest retail outlets and small independents alike. Read what designer and #TheCardMan James had to say. Where were you born? Alnwick, Northumberland. Where do you live now? Bedlington, Northumberland. Where else have you lived? Felton. Are your products your main job? My products are a hobby/part-time – currently I’m in a full time employment Head of Design for a worldwide company. How did you get into making your own products? I started drawing stacked prints and stockists and customers then started requesting certain phrased cards and places to draw, which I then seen the Lines Behind range expand to what it is now. What was your first product? A3 World Prints, Tokyo I think! What’s your favourite product? I recently collaborated with Longsands Fish Kitchen in Tynemouth (if you haven’t been for fish and chips your missing out!). We did kids menus, packaging, cards, and a mug. So for me… it has to be the Longsands Fish Kitchen x Lines Behind mug. What’s coming up for you? This is a secret. But keep your eyes peeled. Follow us on social media (see below). Best and worst things about being an NE creative? I don’t think there is anything particular? But I love when tourists appreciate lines behind prints! See James regularly at Tynemouth Market. Favourite NE landmark? 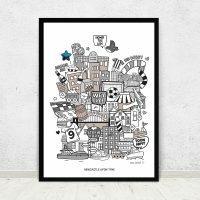 Probably St James’ Park the home to Newcastle United – nothing beats match day! 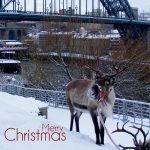 Secondly it would have to be the quayside leading up to the Tyne Bridge. Favourite NE restaurant/bar/cafe? Aveika – Sushi (if you haven’t been make sure you go and get some Tuna Kimchee). Other NE creative/brands you love? 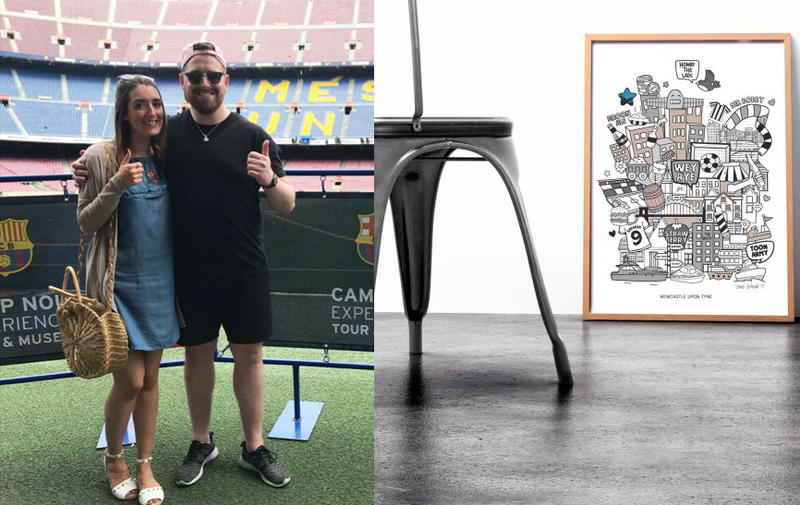 Massive fan of all Ebony Newton Designs typographic pieces across a range of Toon merch! 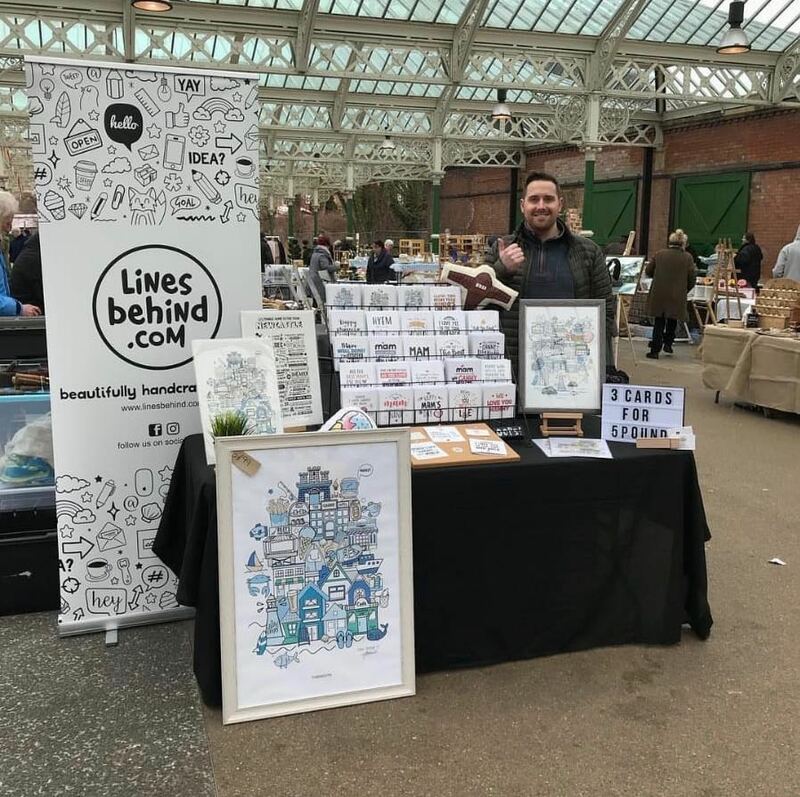 I am a great fan of all the work Ben does at Stavesart – I am lucky enough to share the Tynemouth Market strip with this guy – super talented (if you haven’t seen his work be sure to check it out). Lastly, I love all the work Alan, Nic & Bill do at North East Gifts (non-biased). Any hobbies or weird interests? I’m a football fan, a traveller I love to explore and drink coffee.